After much anticipation, Joe Octave delivered this fresh tune as promised. 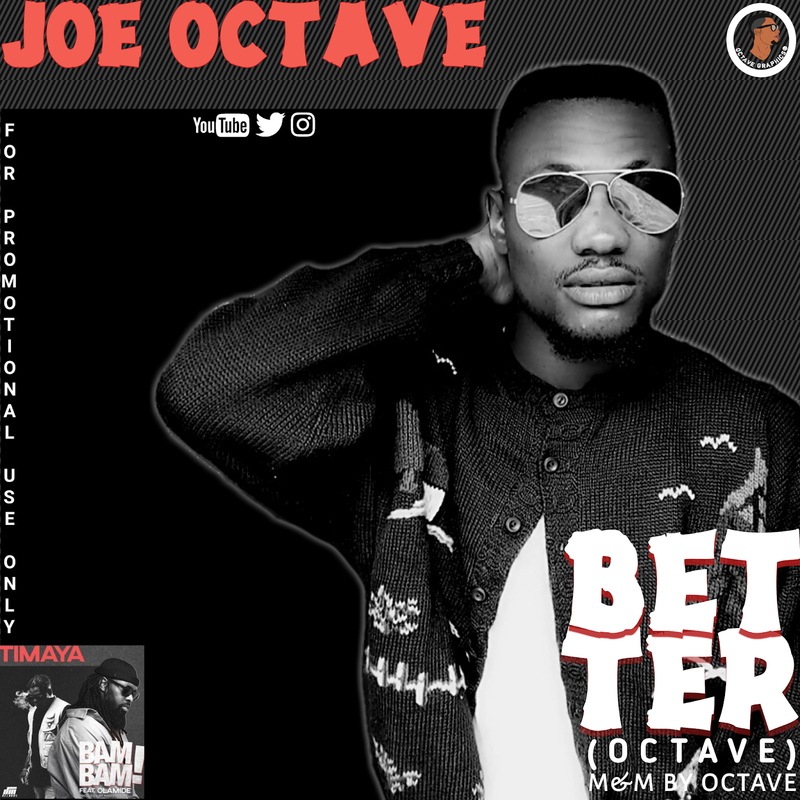 Due to the Better Cover trend, Joe Octave put a Proof to us that he is ready to step up his carrier. And pleasingly this tune is extremely satisfying. A 16 bars dope track cover of Timaya Bam Bam song to keep you on roll... Always remember as he use to say "He never dull with his pleases".